If you have Googled the ketogenic diet you have most likely come across the term macronutrients. You are probably like many other people trying to find your way through all the details and wondering what the heck a macro is and why you need to track them. Macronutrients are the building blocks of nutrition. They are the compounds in food in which we get the bulk calorie intake from to create the body’s energy. 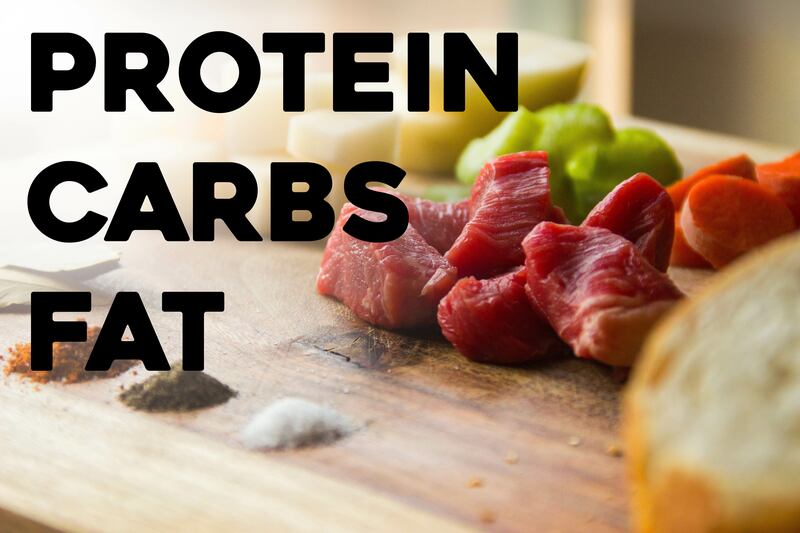 Macronutrients include carbs, proteins, and fats. You see macros in all foods, measured in grams on the nutrition label. The typical American diet has an abundance of carbs and unhealthy fats. Many people are carb loaded, meaning they follow the modern day diet that is made up of mostly carbs that are converted into glucose. The energy from glucose is not sustainable and short lived. Think of when you have a breakfast consisting of toast or biscuits. Within an hour or two hunger creeps in again and energy levels crash making your body feel like it needs more food to boost energy levels back up. This is why it is so important to start your day off with brain fuel (think healthy fats and protein) instead of sugary, starchy foods. You will want to track each macro to find a good balance for your body but for many people tracking carb count is the most important because getting too many carbs can quickly kick you out of ketosis. Also making sure your carb intake comes from vegetables, nuts and seeds, and a small amount of certain fruits(berries) is important. When following the Ketogenic Diet the body is running on a much cleaner fuel source that allows for sustained energy and satiety. After reaching a state of ketosis the body begins to burn fat for fuel and makes the switch from burning glucose to burning ketones. Ketones are the fuel our bodies were designed to burn. When a person is using ketones as a fuel source, adjusting macronutrient portions is crucial to staying in ketosis. Ideally, tracking your carb count is most important. If losing weight is the goal, keeping your carb count low is essential. Typically one should maintain 5-10% of calories from net carbs. Keeping carb counts under 20-30 grams of net carbs (grams of carbs minus grams of fiber); 15-30% of calories from protein; and 60-75% of calories from wholesome, healthy fats is a good rule of thumb. In general, daily carb intake can vary for individuals from 20-100 grams to maintain ketosis. For the majority of people experiencing ketosis, daily allowance is limited to 20-50 grams of net carbs. With that being said, macronutrient intake is not exact and every person is different. There are some factors that can change your macro intake, including age, gender, and weight. This means that everyone is different and it is individually based. One person might be able to maintain ketosis with 30% protein, 60% fat, and 10% carbs while another person has to stick to 5% carbs, 25% protein, and 70% fat. You will have to determine which one you are with a little bit of monitoring. Give yourself a baseline to start and then adjust accordingly as you learn what works for you. There are apps available to help track macros to figure out the ideal route for each individual. You can also use tools like FitBit and My Fitness Pal to track your food intake and macros along with exercise and other things. These are great resources that will allow you to stay on track with the ketogenic lifestyle. As you get more consistent with tracking your daily eating habits and exercise you will find this lifestyle can help you achieve your health goals. Could exogenous ketones be the fourth macronutrient? Previously ketones were only produced endogenously or inside the body. Enter exogenous ketones to the market. Now consumers are able to ingest ketones which provides another sustainable energy source to the body. Continuous research into this energy source points to exogenous ketones being a possible fourth macronutrient. “I see ketones as a fourth macronutrient. You have fats, proteins, and carbohydrates from foods. But ketones are an energy containing molecule.”- Dominic P. D’Agostino, PH.D., Associate Professor, University of South Florida. Once you’ve got a personal baseline, start taking a look at the nutrition labels of all the foods you are intaking each day. Keeping a written record via your phone or a notepad can be extremely helpful throughout your keto journey to make adjustments when necessary and keep you on track toward your goals. Disclaimer: We are not medical professionals and do recommend checking with your physician if you are making dietary changes or have a health condition.